The River Valley was a 1930’s era wood and brick two-storey hotel. The building footprint is 11,452 ft2, with a total of 44,562 ft2. The client wanted to convert the hotel into low-income housing. 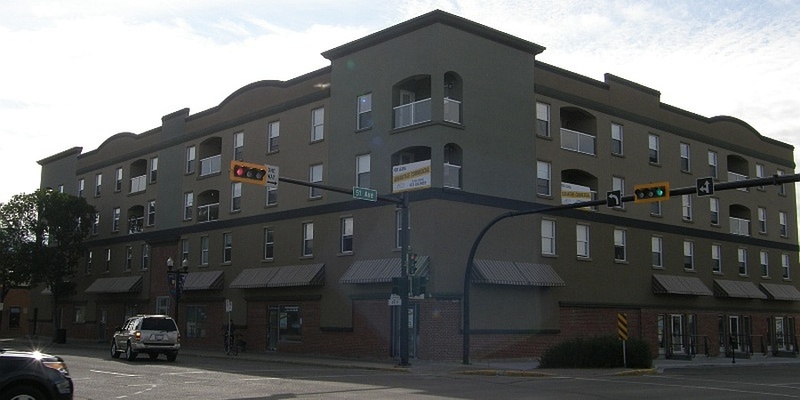 The concept was to add two storeys to the existing building and also build a large four-storey addition to the north. An entirely new foundation was built to support a steel frame to carry the new two-storey wood frame building on top of the existing building. The main floor includes 6 commercial units of varying sizes, the upper floors contain 71 apartments, and the basements were renovated as storage units for the commercial bays. Berry Architecture provided the architectural and structural components of this project and all consultant coordination. We worked with the client to determine the best use of the existing building and the integration of the new addition. The planning of the new space took several factors into account, including the layout of the existing structure, the current building code (including new exit stairs and elevator), and the City’s community guidelines and vision for the downtown core. The building required a complete investigation from all disciplines. The existing building was evaluated for function, structural integrity, and capacity. Several design options were explored to provide the most efficient use of the existing and the new building. The River Valley contains a range of construction materials both new and old (wood, brick, steel, concrete), as well as old and modern building finishes. 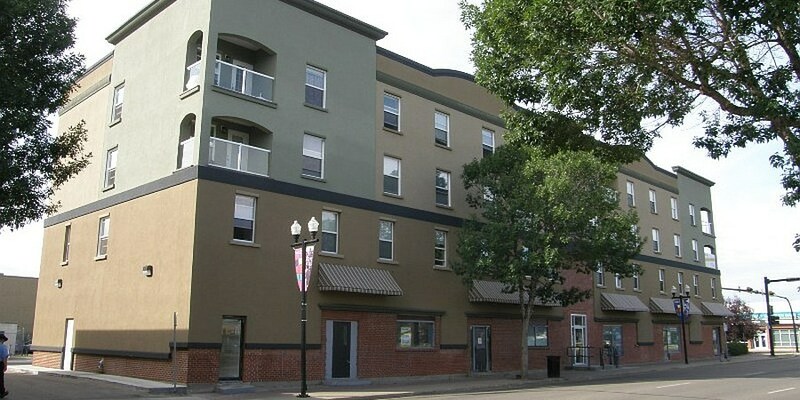 We combined the charm of the existing building, the vision of the client, and the needs of the City to produce a functional and aesthetically pleasing building which provides much-needed low-income housing in Red Deer.